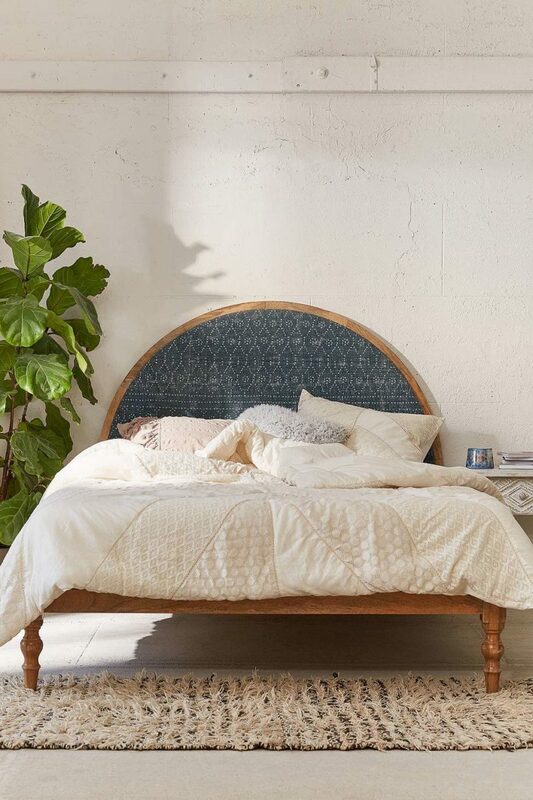 I am head over heels for this shibori headboard from Urban Outfitters. It’s on sale – reduced from £400 to £276. My next room re-do will be Eleanor’s – we’ve split the kids up and they each have their own bedroom now. If this guy came in a single width, I’d snap it up in an instant for her room. 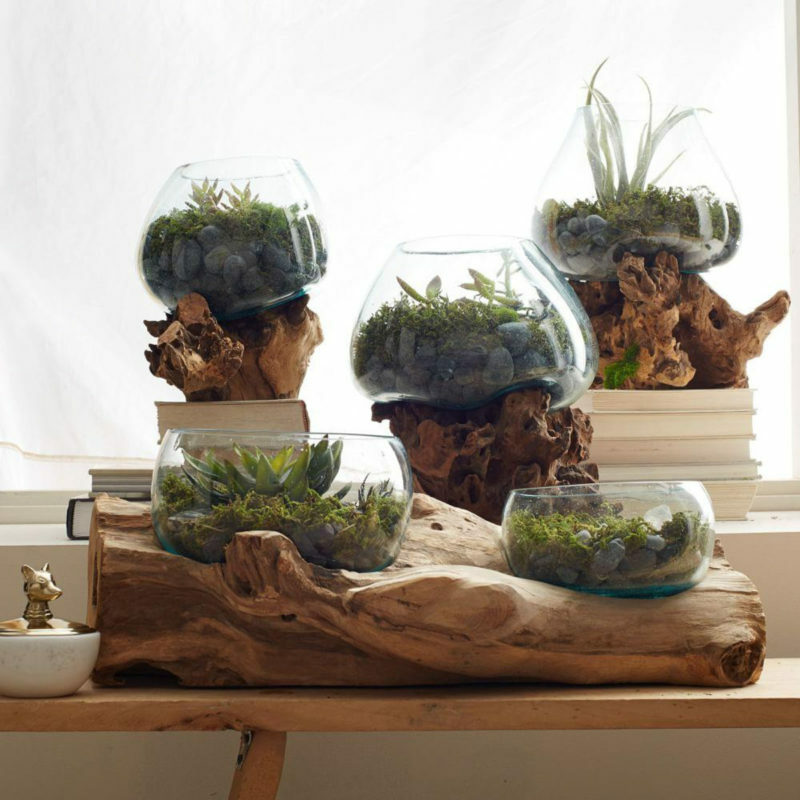 Instead, it might have to be inspiration for a DIY version, if I can think of a way to mimick the look. 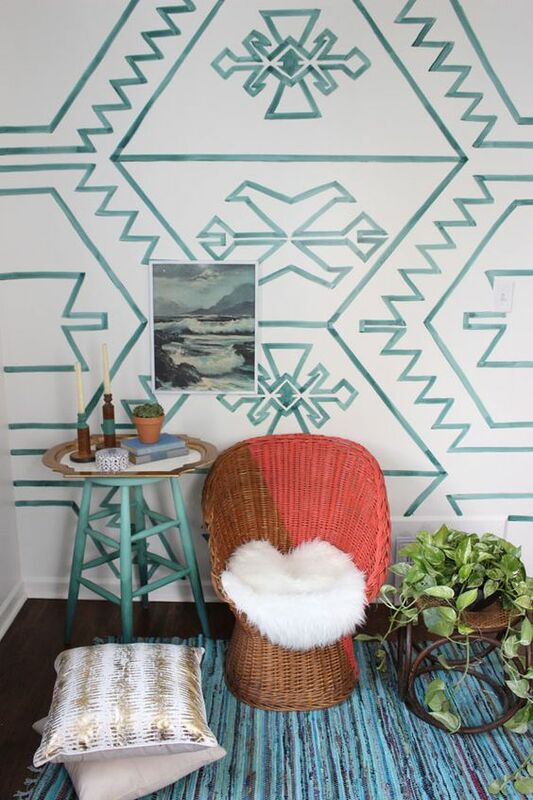 I love this hand-drawn kilim “wall paper” that Lindsay at The White Buffalo Styling Co. did a while back. 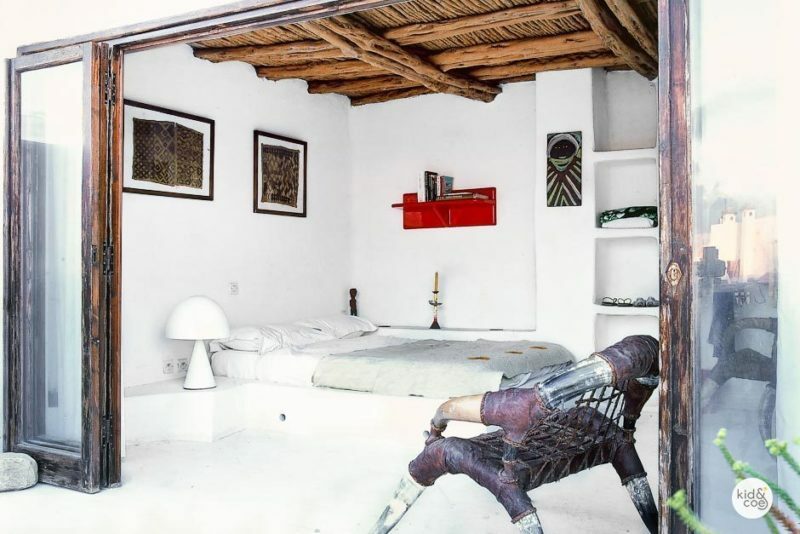 Such a great way to add a big statement to a room. I just spent the last of my Christmas money (and some I didn’t have!) on this super cute bomber jacket and this dress from Anthro. The dress fits in all the right places, and it’s lined (so no VPL). 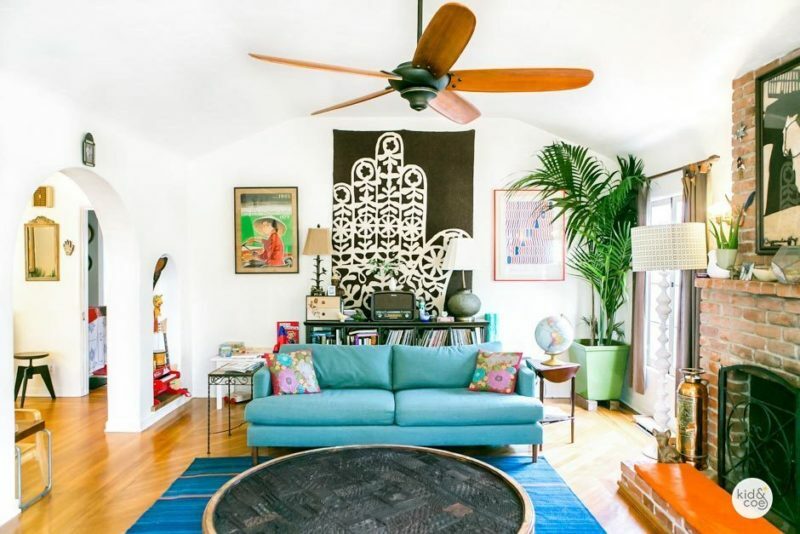 I also love the bright boho vibe of the living room in this rental home in LA. It has lots of colour, but it’s not overwhelming thanks to the white walls.